PressSIGN 8 started shipping in July 2015 and brings a range of extra benefits to users and their clients. We introduce pressSIGN version 8. More capability, more features, more flexibility across all print platforms. pressSIGN-Pro 8 measures and controls the printing process for up to 16 color printing to ensure accurate color on press. 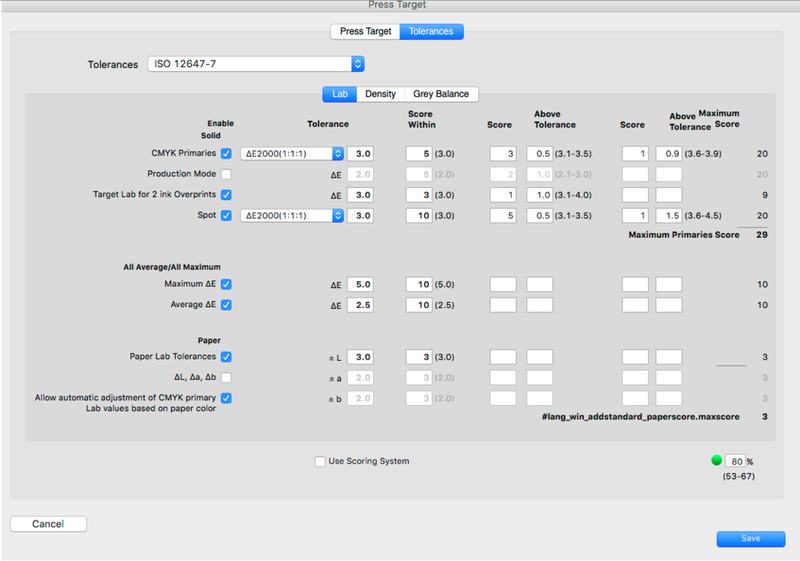 pressSIGN-Pro features a complete set of analysis tools to help improve press and operator performance by identifying issues with waste and quality. pressSIGN contains the PANTONE™ libraries and the ability to create custom color libraries. New in pressSIGN is the ability to control spot color tints. Set spot tint targets based on previous prints or use pressSIGN's Visual Linear Targeting (VLT) to achieve the smoothest possible blends. The pressSIGN-Pro client shows the operator how to adjust each ink key across the press. The operator is targeting 0% adjustment, which means that if the ink level is either increased or decreased then the Delta E will rise. Instead of trying to hit an arbitrary density target the operator is achieving the best possible color match to the press target. Optionally ink zones can be turned off as part of the measurement and scoring functions when, for example, there is no significant coverage. pressSIGN features a new color bar generator. You can create your own color bars including slur and non-measurable patches.